Are you fed up of waking up in the morning feeling tired, groggy and emotional? Do you need several litres of coffee before you can start to think rational thoughts? Do you long for a comfortable and restful night of sleep? We’ve put together a few “recipes” to help you get the great night’s sleep you deserve! 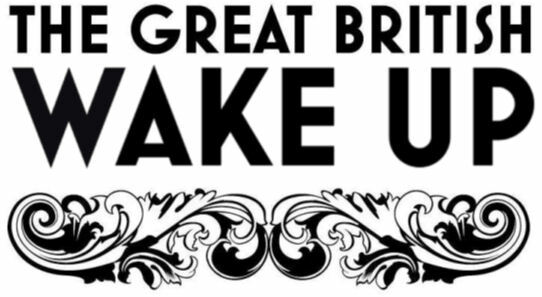 So instead of a grey, boorish wake up, it’s time for a Great British Wake Up! Try this recipe for a great night’s sleep with Spundown smart sleep technology! Add the Spundown Pillow Protectors to the Spundown Pillows to protect and prolong the life of your pillows. The peach-soft cover adds extra luxury to the already sumptuous pillows! Using the elasticated corner straps, add the Spundown Mattress Enhancer to your bed. This adds an additional layer of comfort and softness for a better sleep experience. Add your Spundown pillows and chosen Spundown Duvet to the bed for a recommended 7-9 hours of blissful, comfortable sleep. Wake up feeling rested and refreshed! For a great night’s sleep with superior comfort and natural support, this feather and down based recipe is perfect! Add the Deep-Fill Cotton Pillow Protectors for a layer of indulgent, naturally breathable cotton, which is beautifully quilted for support and luxury. 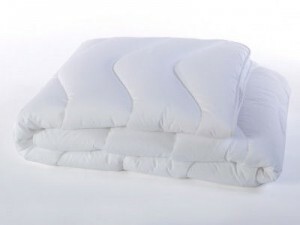 Add the Duck Feather & Down Mattress Topper to your bed. This adds an additional layer of natural breathability, comfort and softness. Add your Goose Feather & Down pillows and chosen Goose Feather & Down Duvet to the bed for a recommended 7-9 hours of blissful, comfortable sleep. Tuck yourself in for a heavenly night of natural sleep! This recipe brings together the complete Soft Embrace range for affordable luxury with the comfort and support that you love! 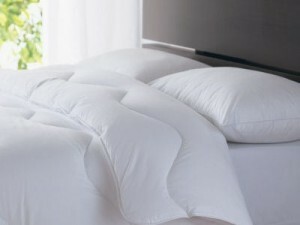 Add the Soft Embrace Pillow Protectors to the Soft Embrace Pillows to protect and prolong the life of your pillows. The peach-soft cover adds extra luxury! Using the elasticated corner straps, add the non-allergenic Soft Embrace Mattress Protector to your bed. This adds a layer of quilted softness for additional luxury. Add your Soft Embrace pillows and chosen Soft Embrace Duvet to the bed for a recommended 7-9 hours of blissful, comfortable sleep. Preparation time for these recipes: 10 minutes buying online, over the phone or in store! Feather & Down, Fine Bedding Company, Soft Embrace, Spundown. Bookmark.